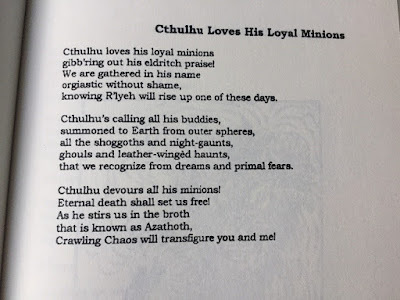 Darrell Schweitzer is an icon among weird fiction authors (I devoured his Mask of Sorcerer and We Are All Legends). He organized the programming at this year's WFC and enabled me to be on two panels (Writer-Artist panel and Difficult-but-Fascinating-Fantasy--which I moderated, and that was the topic...not a description of the panelists :)). Of course I had to track Darrell down early and gets some books signed. 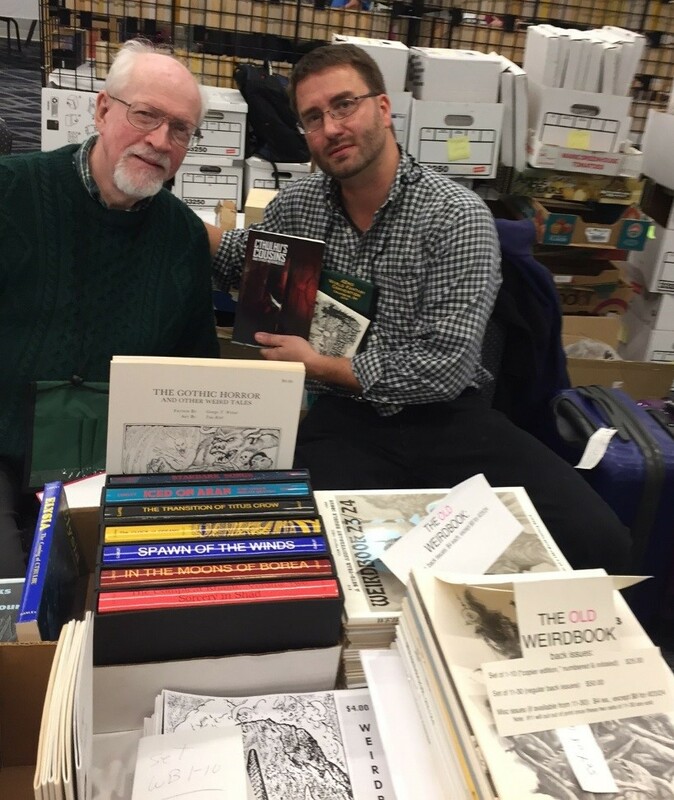 He shared a booth with Paul Ganley who edited Weirdbook for a long time and he published Brian Lumley's Sword & Sorcery novels. Paul got these into the US print domain and are hard to come by. I had owned Lumley's Kash series, but I didn't have his/Lumley's "of Dreams" series featuring characters Hero and Eldin....these are heroes stuck in HP Lovecraft's Dream world.Iced on Aran and Other Dream Quests. Paul's age is affecting him so he will no longer be attending many/any more conventions. He'll continue to sell online. From their booth (and a few others) I got the following: W Paul Ganley's Cthulhu's Cousins and Other Weirdnesses and his editions of Brian Lumley's Hero of Dreams, Mad Moon of Dreams, and Ship of Dreams. 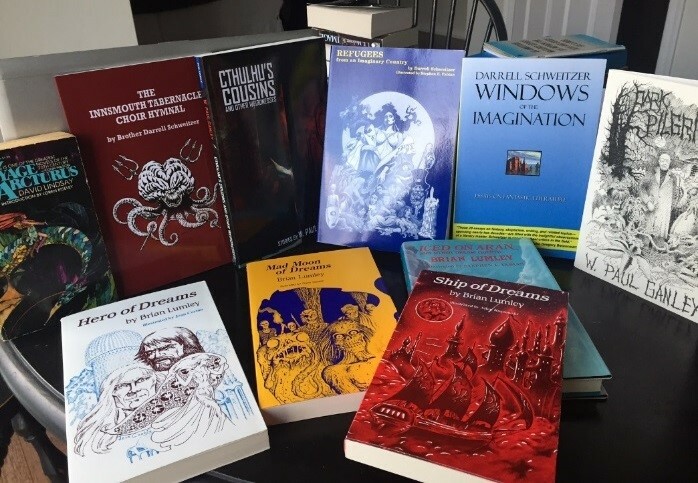 Darrell Schweitzer's Windows of the Imagination (which contains an essay on his never published Conan the Deliverer novel) and Refugees from an Imaginary Country (which he identified as an omnibus of his best work) and The Innsmouth Tabernacle Choir Hymnal. Also go to see him do a reading of a soon to be published story "Girl in the Attic." The Innsmouth Tabernacle Choir Hymnal). 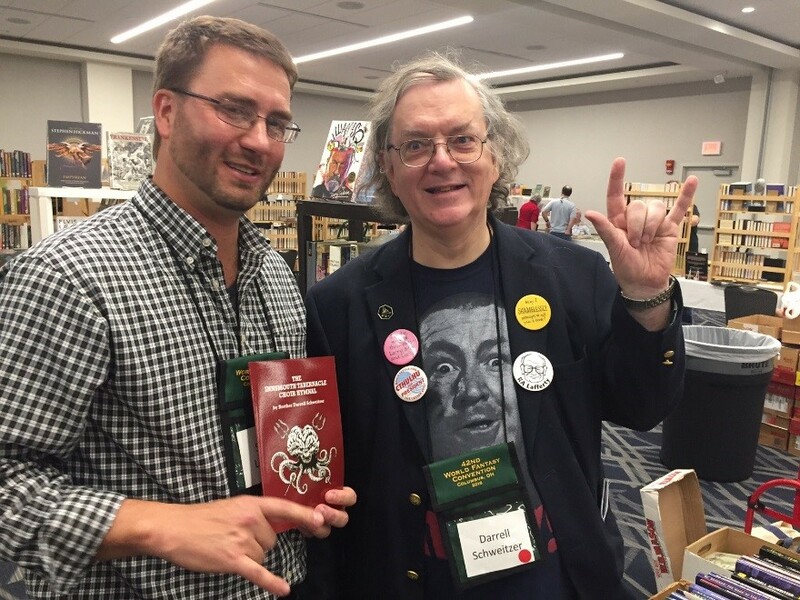 See the embedded Youtube video; Schweitzer appears in a red Fez at the 2015 Armitage Breakfast Necronomicon Providence. 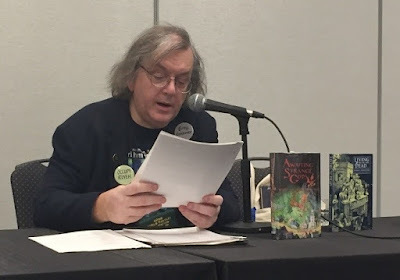 Shown below is a reading from Darrell of his soon to be published weird fiction "Girl in the Attic" (to be included in S T Joshi's Black Wings). His dark humor percolated through his fear of the Pocono ridge lines. Very grateful to Darrell Schweitzer for the opportunity to participate in the panels and to have so much time chatting-about/listening-to weird fiction.